Home sellers are currently in the driver’s seat when it comes to price, and that situation is unlikely to end anytime soon, according to a newly released survey of real estate economics from Zillow. 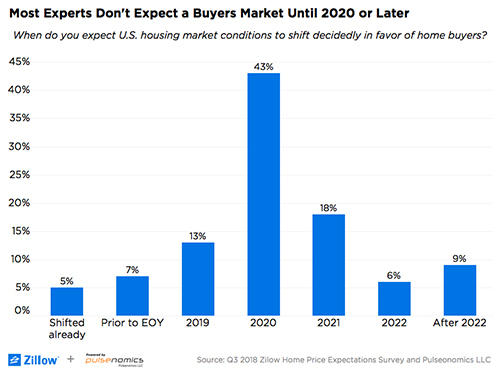 The third-quarter Zillow Home Price Expectations Survey asked more than 100 economists for their predictions about the housing market and found that three-fourths of them don’t expect the housing market to shift to buyer-driven until 2020, perhaps earlier in some parts of the country. The largest share of respondents – 43 percent – said they believe the national housing market will become a buyers’ market in 2020. At the regional level, the panelists believe the Midwest will shift to a buyers’ market a year before the rest of the country. The most frequently selected year for the Midwest to start favoring buyers over sellers was 2019, while the other regions (Northeast, South and West) are expected to change in 2020. Nevertheless, home values across the country are expected to continue to see strong appreciation in 2018, with a predicted 5.9 percent increase. Although most panelists have made upward revisions to their home-value growth projections from a year ago, the adjustments are focused on the near-term, leaving the outlook beyond 2020 little changed. "For the past several years, home sellers held all the cards at the negotiating table,” Zillow senior economist Aaron Terrazas. 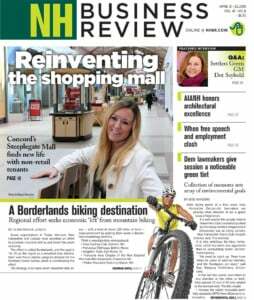 "Conditions are starting to show signs of easing up, but the effects of years of limited construction still linger. Inventory is still falling on an annual basis, and home values are growing well above their historic pace. Although these trends are starting to lose their edge, it is far too soon to call it a buyers market." Pulsenomics founder Terry Loebs said that, “while ongoing supply constraints are reinforcing the floor on home prices right now, the experts' forecasts still imply the joists will start to crack sometime next year and result in sub-3 percent annual home-value appreciation in 2020 and beyond. Earlier this year, the same panel voiced expectations that the next recession would begin in 2020.